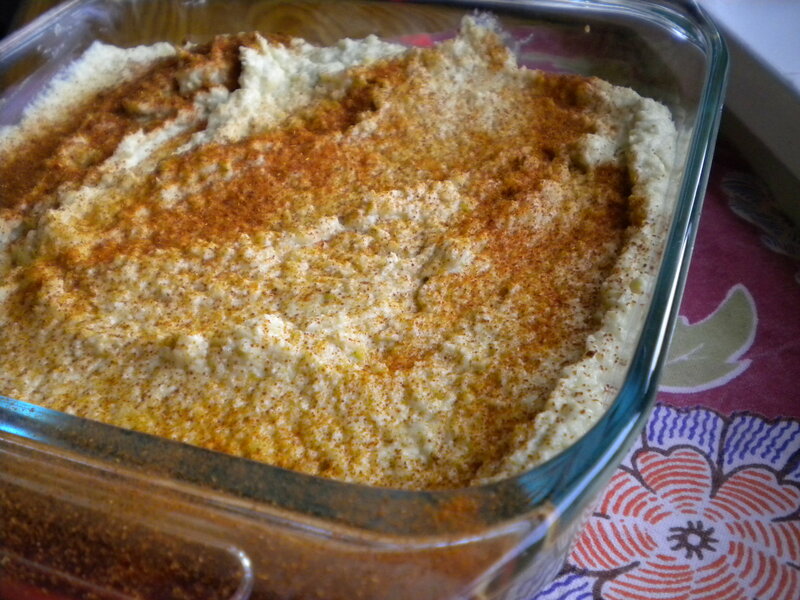 Mama’s Artichoke Dip – Voila! This dip is so dang addicting. It’s also super easy and you’ll be done putting it together before your oven is done preheating. I have recently taken to keeping these ingredients on hand just in case someone needs an emergency dish of artichoke dip. Mix artichokes in food processor and chiles in a food processor and pulse a few times to mix, but maintain artichoke texture. Pour the mixture out of the food processor and into a medium bowl. Add mayo or yogurt and Parmesan and mix thoroughly. Pour into 8×8 baking/serving dish. Sprinkle with remaining Parmesan and sprinkle with paprika. Mmm. I like the green chiles. Haven’t had those in an artichoke dip before! Is this what we had last week? If so, it’s delicious! I will definitely be making it in the future – thanks for the recipe! @Mom: Haha! It’s always gone so quickly, might as well think of a way to get some for yourself! @Kat: Yes, it is the same dip! Enjoy!